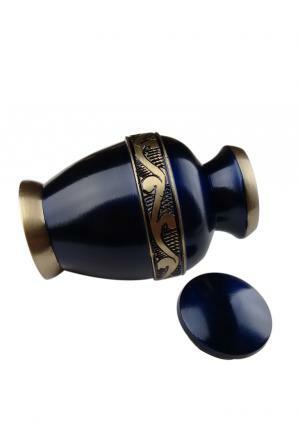 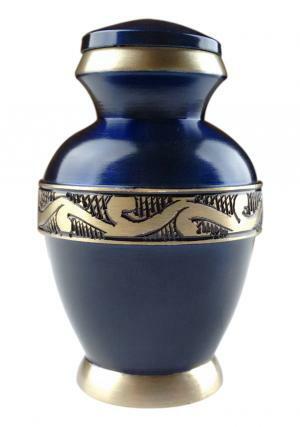 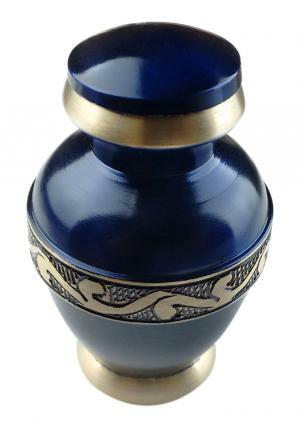 The classic blue keepsake urn is a high quality brass made metal mini urn capable of storing token amount of ashes with the engravings of curling flower band circled around the waist of the urn. 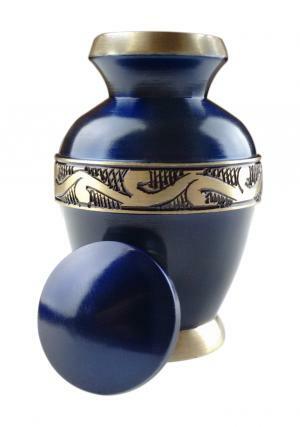 The small keepsake floral urn is blue enamelled with brass finish bands on top and bottom, the blue keepsake mini urn is presented by skilled professionals artwork intricately designed to perfection. 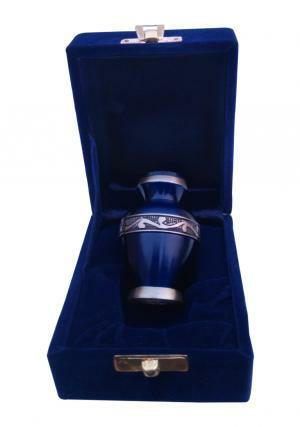 The classic blue keepsake memorial ashes urn is used for insertion of cremated ashes one who is close to the heart as a token of remembrance and capable of storing 3 cubic inch of ashes approximately. 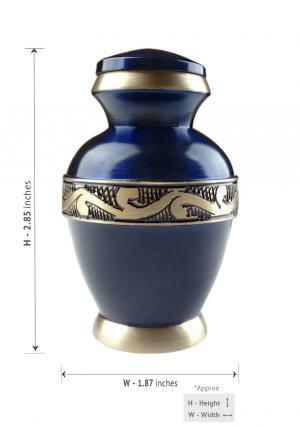 The measured weight of the mini classic blue keepsake urn is of 0.16 kg empty, dimensions of the urn are 1.87 inch of length, width and height of 2.85 inch.